We call this Lube XLM. XLM is a synthetic 5w20 We have added some additives so you can move up to 10,000 mile oil change ,and be well protected. You must use a nano fiberoil oil filter or change your regular oil filter as directed in you manual. We call this lube ASM. 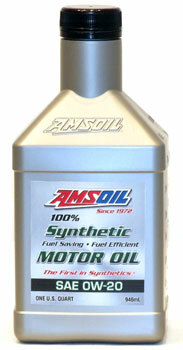 ASM is a synthetic 0W20 designed for 25,000mi oil changes. We have added more additives to a more robust base so you can move up to a 25,000 mi oil change. It is designed to give you less starting friction and better gas mileage. You must use it with a NanoFiber oil filter or change your regular oil filter at the directed intervals. Since the NanoFiber oil filter is rated for 25,000 mi also you get the most bang for your buck with this combination. To find product for you vehicles now click to link to the application guide (filters and fluids capacities are listed also) just start with the year of your vehicle. Questions please call me (Santana ) call/txt 860 436 7034 If you know your product code ( the three letters )Click the price button next to it, then add to cart. Add prefered customer to cart and get instant savings of 25% -35%. All sizes are available quarts to 55 gallon drums. Local pickup is available at many US locations and several Canadian locations. You can call me for the location nearest to you. I would be glad to give you a quote over the phone or walk you through all the options.